A comprehensive history of the Dallas Cowboys and a coffee table book on legendary Panhandle rancher Charles Goodnight are two books that should be popular in Texas this fall. 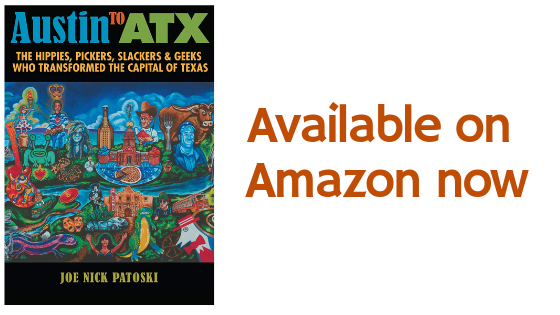 Veteran Texas author Joe Nick Patoski tells the story of “The Dallas Cowboys: The Outrageous History of the Biggest, Loudest, Most Hated, Best Loved Football Team in America” (Little, Brown, $29.99 hardcover). This isn’t for the faint-hearted fan. It requires a little heavy lifting, as in 800 pages of text, pictures, notes and index. 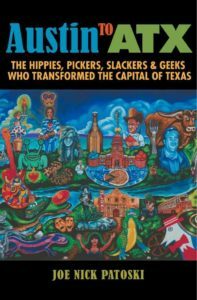 But if you like football, and particularly the Cowboys, you’ll be hard-pressed to find a better storyteller than Patoski, whose most recent epic was an award-winning biography of music icon Willie Nelson. Patoski traces the team decade by decade, beginning before the Cowboys were even a dent in Clint Murchison’s pocketbook. Goodnight: Noted Texas photographer Wyman Meinzer teamed with museum director and author B. Byron Price to tell the story of Charles Goodnight in a beautiful and well-written 150-page oversized book, “Charles Goodnight: A Man for All Ages” (Badlands Design & Production, $45). “Born in Illinois in 1836,” Price begins, “Goodnight rose from obscurity and relative poverty to become a celebrated frontiersman, drover and rancher in the years immediately following the Civil War. A renowned cattle trail would eventually bear his name.” He would become “arguably the best-known cattleman in the American West” by the 1880s, Price says. Price tracks Goodnight’s life and personality through chapters on his ranching, his help saving the buffalo from extinction, his support of higher education, and his influence on Panhandle history — accompanied by Meinzer’s color photographs and historic black-and-white pictures. Goodnight’s first wife, the beloved Mary Ann, or Molly, died in 1926. The next year, at age 91, he married his 26-year-old caregiver, Corrine. The cattle king of the Panhandle died Dec. 12, 1929. Poetry Calendar: The 2013 edition of the Texas Poetry Calendar features 96 new poems by poets from all over Texas (Does Gatos Press, $13.95 spiral-bound). 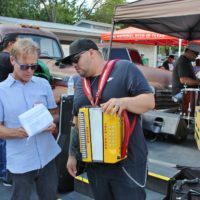 Each week on the calendar includes one or two poems with a Texas theme or connection. Here’s a great gift for the accomplished or aspiring poet on your holiday list or those who simply appreciate good verse. At the back of the book are guidelines for submissions for the 2014 calendar. The calendar was edited by Scott Wiggerman and Cindy Huyser of Austin. More details at dosgatospress.org.